More teens die as a result of alcohol use than all illicit drugs combined. Talk It Out, a statewide initiative to reduce underage drinking, is working hard to prevent this tragedy by encouraging parents/caregivers and teens to Take the Pledge to Talk It Out. To spark these crucial conversations, Talk It Out created the #WeTookThePledge contest to encourage both parents and teens to Take the Pledge to start the conversation about the dangers of alcohol. Since Oct. 11, parents and teens have been able to complete a pledge card online that includes promises to make smart choices about alcohol. Once completed, the parent and teen are entered in a drawing for a $200 Visa gift card. A winner will be chosen at random, by the firm 919 Marketing, each week from Friday, Oct. 19 through Nov. 16. On October 18 representatives from the Talk It Out campaign will be in Safety City at the N.C. State Fair in Raleigh handing out materials and answering questions. Parents and teens can also sign up to take the pledge in person that day. The pledge cards are geared toward both teens and parents with unique actions for each. Visit www.TalkItOutNC.org/Pledge to take the pledge. 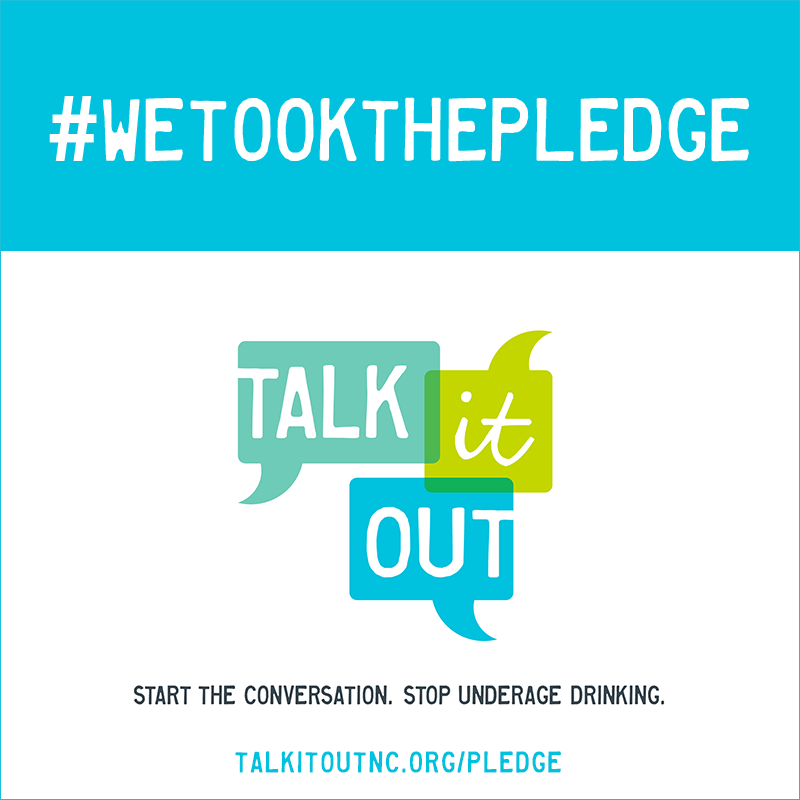 For more information about Talk It Out and how you can begin the conversation to stop underage drinking, visit talkitoutnc.org.